Mogadishu-(Puntland Mirror) The death toll from Saturday’s car bomb attack on Nasahablood hotel in the Somali capital, Mogadishu, rose to 17, ministry of security’s spokesman Abdikamil Shukri said on Sunday. 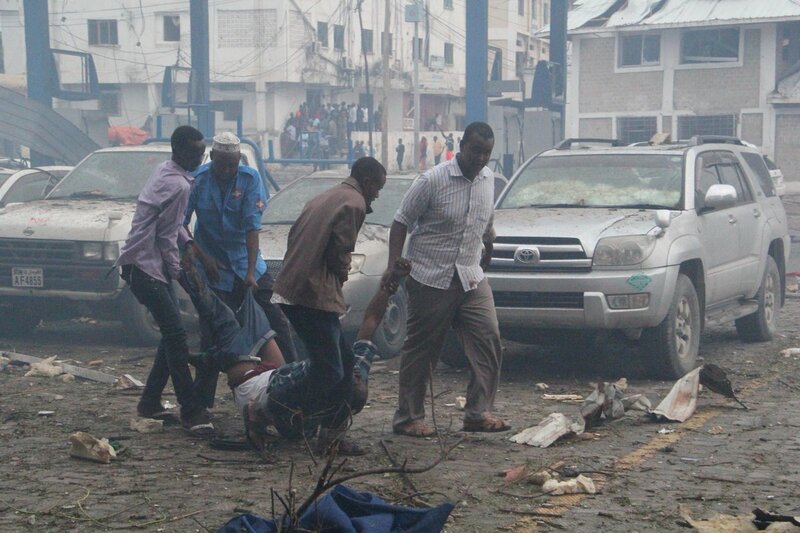 Al-Qaeda linked group al-Shabab has claimed the responsibility for Saturday’s attack on Naasahablood hotel. “We attacked the hotel which was frequented by the apostate government members,” al Shabab military operations spokesman Sheikh Abdiasis Abu Musab told Reuters News Agency. The latest attack is the second to hit Mogadishu in one month and follows one on June 1 on ambassador hotel that killed 16 people including two lawmakers. Al-Shabab fighters was pushed out of Mogadishu by the AMISOM and Somali government forces in 2011, however, it has sustained launching regular attacks aimed at the toppling the government.